Recent events of march against drone strikes and attack on Malala Yousafzai have raised some important questions in my mind. These questions are mainly related to the timing of the event and how past events were dealt by the government and security institutions. If Benazir Murder case is resolved then a lot can be understood about this fake war. For a start, one should ask that how was it possible that some rogue terrorists were able to delete or tempered the mobile communication record from the area? As far as I know that only ISI or some other high level intelligence organization like CIA (Like NADRA data they can surely access this data too) can do it. These incidents like Benazir, Malala, Islamic University blast or Peshawar market blasts (denied by Talibans) happen at crucial times when anti-war protests take momentum or some crucial decisions are being made about further operations. Another interesting event is the letter written by Afghan (Pentagon puppet) President Hamid Karzai to PTI’s Chairman, Imran Khan. For those who think that Malala issue is not related to drones and military operations or this fake war, there are few things to ponder upon (If they have the brain to do so). Why the president of a country would like to write a letter to Imran Khan and show the concerns which are shown by social-class and sectarian fascists in Pakistan and pro-imperialism media in USA? It seems Imran Khan and PTI’s march against drone strikes not only disturbed the plans of Pakistani sectarian and social-class fascists but also disturbed the pro-war scum internationally. Another thing to understand about drone, NWA operation and Malala issue is that Imran Khan is scheduled to lead a protest in front of UN on 26th October 2012. We need to find answers for these questions. For a start on Malala’s issue, government’s own interior minister Rehman Malik denied the involvement of TTP. Even if it is TTP then there are more than 15 (some say 30) groups working as TTP. Some are fighting for revenge, some are being funded by international enemies of the country who want Pakistan to remain stuck in this war and some are local criminal gangs. Unless they are not identified clearly, word Taliban has no meaning. Free and Fair investigation can only be done in current scenario through Supreme Court or some investigation body working under SC. But again judiciary is being badly cornered by the government and army due to corruption and missing persons cases. That is why I say for a start we need to find the names behind Benazir murder case. People say that these tribes and terrorists are ideologically connected. Ideologically connected is also a vague term. People with same customs, cultures or grievances or may be some other common points can be termed as ideologically connected. With this logic most Indians can be termed as RSS, most USA can be connected to Bund or KKK, all Irish people can be termed as IRA, all British people can blamed for the crimes of East India Company, most Israelis can be linked with Stern gang, most Germans can be linked with Nazis etc. Without addressing the root causes, one cannot solve this issue and waging a war against populations after some isolated incidents doesn’t look very intelligent especially after a decade of destruction. When are we going to learn the lessons from past mistakes? Or Pakistan army and government are committed to repeat another 1971? Earthquake, 8 October 2005–>Still lots of things left. 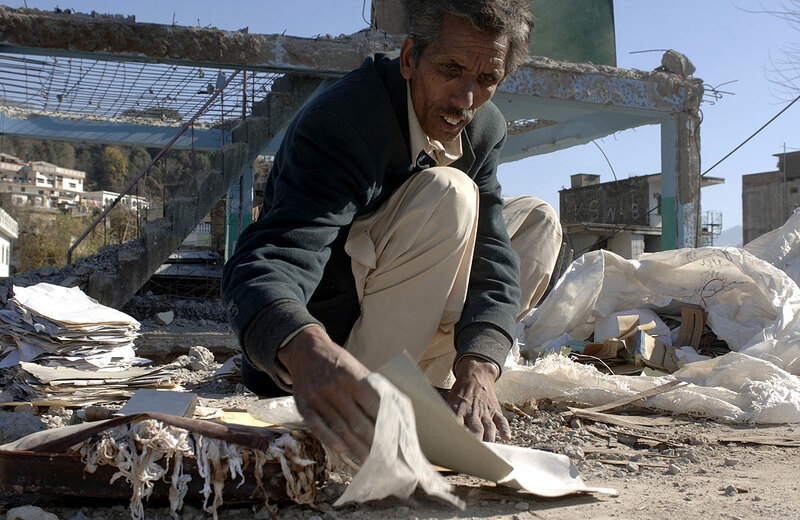 Who can forget the devastation of 8 October 2005 Northern Pakistan & Kashmir earthquake which claimed the lives of thosands of people and left more as homeless and injured. The biggest victim of the earthquake were kids and educational institutions as the earthquake came at morning time when many of the kids were in schools and got hit by the devastation. The people of Pakistan especially and all over the world in general immediately rose to the call and showed their support to the affected people. Sadly the response from our government and international ones except for initial days cannot be considered as great. Pledges were made , estimates of rehabilitation were given but not much on the ground was done. Still hundreds of thousands are living in tents , more than 1300 educational institutions are yet to be built leaving more than 100,000 people to study under the open sky or in temporary camps. I don’t know after having so many refugees from Bajur,Sawat,Waziristan and other places due to an undue war how the victims of the 2005 earthquake will get the attention they need. Nation Remembers The EarthQuake Victims of October 8,2005. 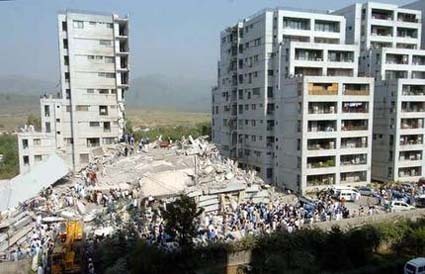 Nation on 8 October remembered the tragic eartquake of October 8, 2005 with heavy heart. It still seems to me an event happened just yesterday or so when the nation saw one of the most devastating earthquakes the world has ever seen. Mountains on North of Pakistan shook with the vibration of death and horror. Thousands died (figures varying from 79000 to over 100,000 mostly school going children) , more than 300,0000 people got displaced and billions of dollars of property loss was reported. Also I cannot forget the united effort shown by the nation (and I want that unity back but without any disaster) for a cause to help their brothers and sisters facing the most shocking experience of their lives. Still there is lot to be done in the area (Govt. says 2011 will be the date when the area will be fully rebuild, God knows better we can just hope for the best). Also questions should be asked about the inquiries which were initiated to investigate the collapse of structures like Margalla Towers in Islamabad and why the state machinery wasn’t ready for the disaster?